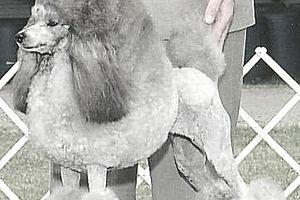 There are lots of pet groomer shows held each year. Here are some of the more popular events, with special thanks to Danelle German, president and CEO of the South Carolina-based National Cat Groomers Institute of America, whom I featured in my article about cat grooming. Intergroom is one of the largest shows for those in the pet groomer industry, with attendance by more than 2,000 dog and cat groomers from around the globe. Intergroom was founded in 1981 by groomer and author of "The Complete Poodle Clipping and Grooming Book" and "Allergic to Pets" Shirlee Kalstone to offer enhanced educational resources to groomers and to help raise the standards of the profession. Intergroom also features numerous educational seminars and pet grooming products manufacturers and distributors. Another respected pet groomer extravaganza is Canada Grooms, which features a variety of events of interest to those in the industry each summer, with a fall show added in 2011. A truly great aspect to Canada Grooms is that this group has now banned the use of potentially harmful dyes, bleaches and other products and practices on pets used in the show's creative pet grooming competitions. In fact, this was the first such organization to receive the Silas Award, an honor created in 2011 by the National Association of Professional Creative Groomers to recognize creative pet groomers who abide by the highest safety standards via forgoing potentially dangerous products and practices. Another biggie in the pet groomer world, this is presented by the National Dog Groomers Association of America, Inc. in Denver each June. The association also presents Fun in the Sun, featuring a trade show and seminars, in Florida in the fall. The NDGAA was established in 1969 by the late Robert D. Reynolds to establish higher standards for those in the industry. Now overseen by the founder's son, Jeff, the association offers certification testing, seminars, continuing education workshops and meetings. Groom & Kennel Expo is a very popular show produced by Barkleigh Productions of Mechancisburg, Pa., which also publishes Groomer to Groomer magazine. This is held in Pasadena, Calif., in February. The Groom Expo sister event is staged in Hershey, Pa., each fall. SuperZoo is a huge pet industry trade show presented in September in Las Vegas by the World Pet Association, which established a partnership with Grooming Business magazine in 2011. One of the highlights of the show is the pet grooming competition with its Crystal Grooming Achievement Awards. "I think one of the best grooming trade shows is the Atlanta Pet Fair held the first weekend in March," Danelle said. Produced by McPaw, Inc. the largest of the East Coast pet groomer shows features speakers, vendors, lectures, parties and (of course) pet grooming competitions, all of which are designed to be fun and educational. Another noteworthy show is the Chicago All-American Grooming Show held every August in Illinois. Launched in the early 1970s by veteran pet groomer Jerry Schinberg, this is the oldest and longest-running pet groomer show in the world. Meanwhile, the show was purchased in 2012 by Barkleigh Productions, which was set to officially take over following the event's 40th anniversary show in August of that year. "There are a few other, much smaller shows scattered throughout the year, but these are the most popular, I'd say," Danelle said. For more news about what was going on in the world of pet grooming for mid-2012, please see my article Pet Grooming Update. For a full schedule of the top pet groomer shows, please see Pet Grooming Shows Schedule at a Glance.